Insider observations become the way to resurrect a doomed community in Report from a Place of Burning. 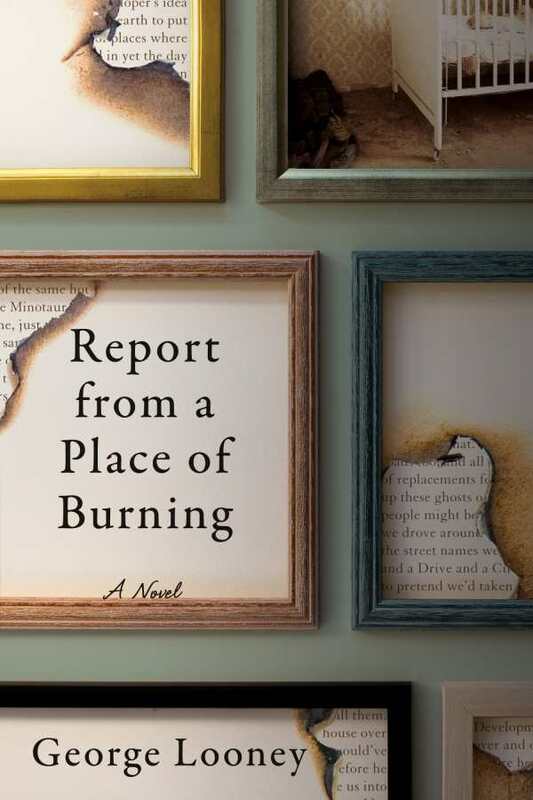 The accounts of a widow, adulterer, mother, detective, prophet, and widower merge into a comprehensive report of the town, where crib death becomes synonymous with murder by spontaneous combustion. Boundaries between religion and science, fantasy and reality, and the destructive versus regenerative qualities of broken glass and fire dissolve to make this “place of burning” better understood through its mysteries than through solving them. Anecdotes abound, and they prove ideally suited to fleshing out the town’s characters, relationships, and circumstances. One features fictional people destined to live in newly constructed houses; it reveals as much about the town’s history and inhabitants as it does about the couple who fabricate the tale to entertain each other. Stories about a legendary detective’s fried egg sandwich and words of wisdom reveal less about the living legend than they do about his observer/partner and the crimes that they investigate in tandem. Each entry is objective, insightful, candid, and intimate enough to be entrusted to a personal diary; each could easily stand alone. But they don’t. Themes, concepts, individuals, and events from one account start to appear in others with greater and greater frequency, until one story line seamlessly continues into, and is embellished by, the next. Skillful use of lighting and details allows imagined scenes to easily elude doubt while launching those based in fact into the realm of fantasies. Consequently: the flesh of a mother’s arms burns from nursing her smoldering ghost baby; the hospital treating her burns is so bright that the only thing that could be real in such light is sorrow. Humor and tragedy stroll hand in hand through George Looney’s novel, where the living talk to the dead and the dead not only talk back but are no less transformed by their experiences of death than they were by their experiences of life.